Grand Prix dot com has a brief article about the possible death by damages of the magazine BusinessF1. I do not buy the magazine and have only ever read one (admittedly long) article from it. That was the one that claimed to know the inside story of Michael Schumacher's retirement; it was well written, very interesting and apparently authoritative but, since it came from a magazine that has had more than its fair share of libel suits against it, I took the article with a large pinch of salt. 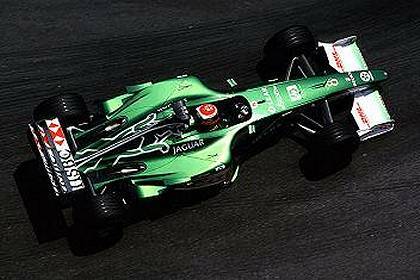 Now Tony Purnell, once head of the Jaguar F1 team, is petitioning the court to wind up BusinessF1 as he has not received payment of the enormous damages compensation awarded in a previous court case. And that makes me a little uneasy. The magazine has long been detested amongst the F1 teams who say that it contains little but speculation and guesses masquerading as fact and its editor, Tom Rubython, has a history of losing libel cases against himself. But, even so, is it right that a dissenting voice should effectively be priced out of business by those it criticizes? We are all aware that awards for damages these days are reaching ridiculous sums. It is all very well to talk of punitive damages but very often the amounts awarded bear no relation to any possible damage done by a few statements in a magazine that few read anyway (although I admit that the Ferrari story made its way around the internet and is the basis of many anti-Ferrari rants in forums). Perhaps we should also give some thought to the possibility that the law courts have become a convenient way for rich and powerful companies to silence those who point out uncomfortable issues. I am not about to embark on a long discussion on the freedom of the press and its responsibilities as a result but, in this instance, the matter does affect the sport we care about. At a time when Renault are trying to demonstrate an openness to public scrutiny that is quite foreign to most F1 team cultures, it seems unfortunate that a magazine that has, at least, made us aware that we do not know as much about F1 as we might think, is going to the wall. I know nothing about the original law suit between Purnell and Rubython; it may well be that Rubython deserves everything he was hit with in that case. But I do not like the idea that anyone who raises uncomfortable matters should be silenced by richer and more powerful interests. In fact, we need to recognize that the public are not quite so gullible as legend would have it; we do not necessarily believe everything we read (except in blogs, of course) and the damage caused by inaccurate reporting is often much less than claimed. There is even a case for saying that we need such wilder voices as BusinessF1, if only to remind F1 that we will speculate if they don't tell us the truth. And that is the key, really. Renault's approach is laudable in that, by encouraging an open and honest atmosphere, they lessen the opportunities available to those sections of the media that would twist and pervert the truth. With the McLaren pit stop saga fresh in our minds, it has to be said that the whole forore about the alleged angry radio exchange between Hamilton and Ron Dennis could have been defused had the team made the tape public. As it is, doubts remain and will always do so. It's a simple enough principle: the truth will out. I, too, have read only one BusinessF1 article (in my case, a lengthy interview with Paul Stoddart which Tom then interpreted in quite strange ways), but my main experience of him was from reading F1 Magazine in 2001-2002. F1 Magazine was a fine magazine which Tom Rubython published. However, he delegated most of the writing to other journalists (one with top-notch credentials who wrote wonderfully detailed articles). The result was a very informative magazine that paved the way to my understanding the details of F1 a lot better. It had an average circulation of about 100,000 - pretty good It was when he wrote himself that things went downhill. Tom was always more open to speculation than the other journalists - there were several times that the (often strong) source material that had been gathered had simply been disregarded in favour of a conspiracy theory. I attribute quite a bit of my writing method to mentally deconstructing and critiquing his monthly columns. Despite all this, F1 Magazine only had to publish three apologies (one prompted by a basic proofreading error, and the other two by the same pair of journalists (not involving Rubython directly)). It did get sued once, but even now I'm not 100% sure whether that judgement was warranted. I don't know what F1 Racing's record was at the time, though I suspect theirs was better - through being as uncontroversial as possible without changing the editorial viewpoint. From what I've heard, Tom took on more of the writing duties on F1 Business - a combination of lack of budget and an unquenchable appetite for self-expression. This has led to the problem - without the usual fact-checking boundaries, Tom's occasional tendencies to write strange stuff became more pronounced and more common. When I say strange, I mean there was one out-of-court settlement about Tom claiming Paddock Worker A was the illegitimate son of Paddock Worker B. That sort of thing is what's caused all the lawsuits, and the big payments. It's a sad story, since the only thing Tom really did wrong was miss his calling. Maybe if he hadn't got that lucrative deal with Bernie Ecclestone at the end of the 2002 season, F1 Magazine would still be published and Tom wouldn't be facing the end of this part of his publishing empire. The size of libel fines is disproportionately large compared to fines for other crimes, but that's the law's fault. Any lawyer worth his or her salt is going to sue for the maximum the crime attracts under its specific circumstances, and a defendant is hardly going to say, "Please, Your Honour, can I receive less money?" It's like Jacques Villenueve's BAR contract extension in 2001 - he accepts that $18m was a lot for his services at the time, but that's what he was offered, and that's what he took. And given the number of out-of-court settlements, I think the paddock gave Tom enough chances to sort himself out - they were pretty tolerant of F1 Magazine, and that opened a lot of doors to understanding. But the basic truth is there is a line between reasonable speculation, opinion and/or nonsense and presenting that speculation/opinion/nonsense as fact. Tom crossed it several times, and it would not surprise me if he'd crossed it again on this occasion. As for the other point - it's perfectly possible for an F1 publication to be informative without presenting things in an unrealistic way. Hopefully, one day, an F1 publication will come out again that fills this role. And I don't believe everything I read in blogs - not every blogger writes sense in every blog post, after all! Thank you for the detailed history of Tom Rubython - it certainly throws more light on the whole episode. I agree that it is wrong that any article, whether it be in a magazine, a newspaper or a blog, should present opinion or speculation as fact, yet this will happen as long as facts remain hard to come by. Reporters must report and, if they are given no material, they will construct some from the little that is known. The article that I read was a masterpiece of construction, assuming that Tom did not really know as much as he claimed. I have to admire the artistry that went into its making, whether it was true or not. And I suppose I am regretting the fact that no better way to deal with the problem of Tom was found. As a suggestion, would it not have been a better plan for the court to instruct that issues of BusinessF1 have a public health warning printed very visibly on the cover, rather as has been enforced on the tobacco industry? Something to the effect that "The views and statements in this magazine should not necessarily be taken as fact and are offered for interest's sake only". That, surely, would be better than preventing Tom from delighting us with his art form entirely. A common dictionary definition of truth is "agreement with fact or reality". And therin lies the problem - If you Listen to Ferrari or Renault or Williams or McLaren... What 'Truth' is it you need? Each will tell the truth as THEY see it and will not accept a substitute. It is left to those who observe and comment to perceive Truth as is; Those who see the Big picture (and I might add a plus here for this very blog), will often see Truth in Very different terms to the narrow viewpoint of the Rich teams who can buy truth. And in the Buying of truth what do they get? A Zeitgeist? A shadow of what is reality but something that is part of 'the make-up' of any Team. (i.e. B*llsh*t). - We are the best but have been 'Got at' in some way, We Should be number one but all others cheat. But they never ever say that. They imply or more often than not, they Lie! I Love to watch F1. The idea of man and machine in harmony is an ideal that seems in tune with the whole of humanity. I care not that (sorry Clive) Scott Speed has departed; there will be another driver waiting in the wings: But I am delighted to listen to the comments made that make up a germ of truth, despite what the Team may say. I care little that McLaren & Ferrari have a spat over a misdeed by a lowly employee having disclosed information... I just love to watch the RACE. I think I may be repeating myself here. Nevertheless. the point is, after the tirade of b*llsh*t that I write; the point is, F1 is a wonderful way to spend a few hours on a sunday. Let the engines roar and drown the shallow lies and (dis)information from the Managers and Owners - let the machines go and let the drivers and the people decide who is best. Let the people say yes or no by attending or staying away. Let the drivers and the cars say it all, If a driver has the talent to race and let me give a heartfelt blessing on all those who compete at the Highest level - if they can compete then let the playing field be level! Which brings me back to the opening - agreement with fact or reality -Whatever happened to it in F1? I am an avid reader of this observation on the Sport and I nod my head at the wisdom - but I shake my head sadly at the fact that such wisdom should reflect a lessening of a wonderful sport. I only ever wanted to watch and enjoy. Fractal, you are absolutely right - we should be able to just watch and enjoy good racing without learning all about the struggles for power, the underhand dealing and the outrageous money-grubbing that go on in modern F1. Yet it seems impossible to remain unaware of these facts, since the media pounce upon them with such glee. To be fair, there is much that is still good and fine in the sport, and our hope remains that these will win out in the end. Nil desperandum! As for Bernie in football, it is perhaps a sign that he may be thinking of retirement and wants a few toys to play with in his dotage. A football club would be an excellent way for him to squander his millions and not cause too much harm to the sport; at least he wouldn't have control of the television rights! Personally I've never much cared for Tom Rubython's writing (the Senna book is awful...) and in the eyes of two journalists I rather respect (Mike Lawrence and Joe Saward) he was not the most pleasant of characters. However, the libel laws, and the fact that Business F1 has fallen victim to them, does unnerve me. For a start, the damages awarded in libel trials do tend to be out of all proportion to the actual damage caused, in most cases. Surely a false allegation published in a magazine known to bend the truth (to put it mildly) cannot be all that damaging to a person's reputation - and therefore ought not to attract large financial damages? As you say, Patrick, it's a big topic and not one for a blog devoted to motor sport. But we are not far apart on the matter, I think. I have not read anything of Rubython's apart from the article mentioned so I'm in no position to judge his writing - it is much more that it worries me when I see anyone being put out of business in the way it's being done. It might not affect F1 directly but is bound to give other publications pause before they dare venture anything controversial.